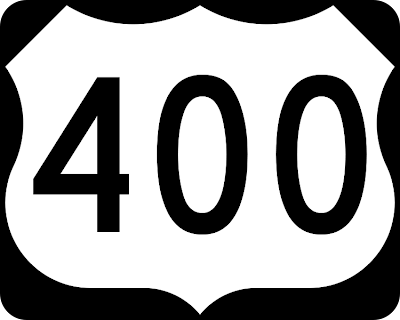 The ExhibiTricks blog recently passed 400 posts! You may have noticed the search box on the right-hand side of the blog --- in the spirit of discovering some goodies from the ExhibiTricks "back catalog" allow me to suggest a few search terms that will turn up some interesting and useful stuff. A good place to start searching the ExhibiTricks vaults is with the term "interviews." Do some searching around yourself, and please contact me if there are other folks (including yourself!) that you'd like me to interview. It feels great to share new (and classic!) resources with folks through the blog. Try searching "resources" or "toolbox" to find links to design helpers and websites like Sugru or Think Anatomy or The Great Big Exhibit Resource List. Who would have thought back in 2007 that I'd still be rolling along with ExhibiTricks? I really appreciate everyone who takes the time to read my blog, and I hope to cross paths in person (as opposed to digitally) with ExhibiTricks readers at upcoming museum conferences!